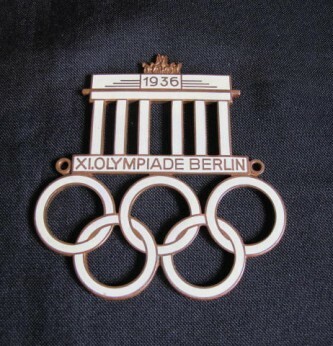 Interesting enamelled 1936 Berlin Olympic games car badge. 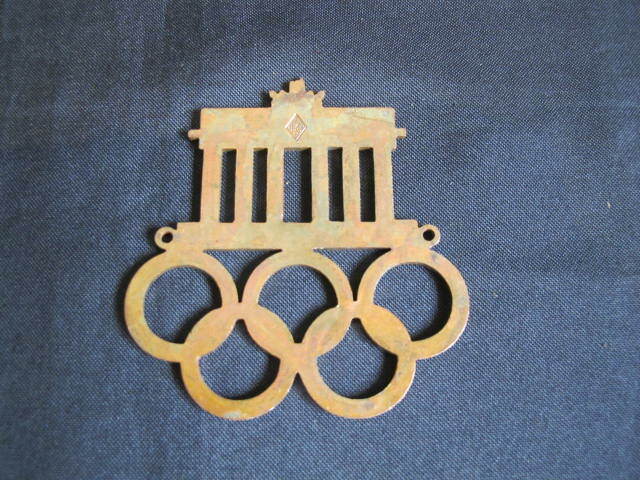 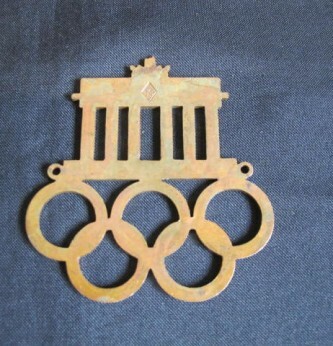 Shows Brandenburg Gate and date 1936 and Olympic rings below. 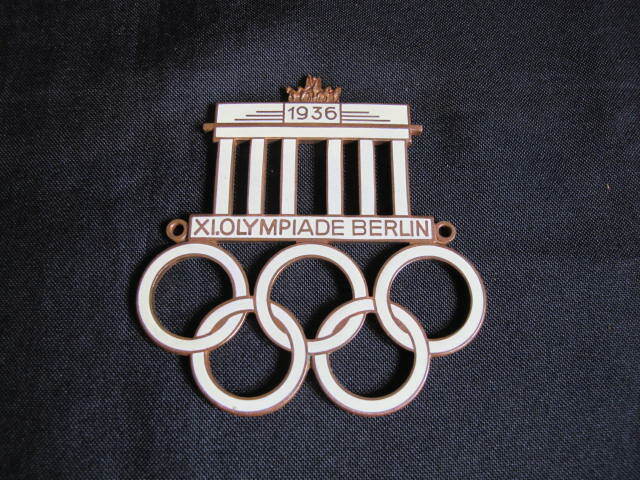 Perfect enamel and screw fixings to sides.